“Error” in this case should probably be pluralized. Separately, sources hinted to The Guardian‘s Joanna Walters that a settlement amount may still be paid to Hadid. 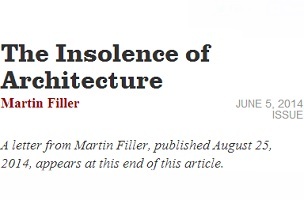 The above letter appears on both the New York Review of Books home page and at the end of the online version of Filler’s article. It will also be published in the next print issue.